With a dramatically sleek design, the 2017 Lincoln MKZ is a sedan that will move you in all the right directions. It can be had in all kinds of compelling hues, such as a bold Magnetic Gray or breathtaking Ruby Red. All these design aesthetics hint at the overall performance this sedan provides, making it inviting for drivers. Passengers will appreciate the comfortable ride quality and many onboard amenities. At the heart of this luxury sedan are two engine choices. One is a 2.0-liter GTDI inline 4-cylinder. Thanks to a potent combination of turbocharging and direct injection, it pushes out 245 horsepower and a stout 275 lb.-ft. of torque. This engine can be paired with either front- or all-wheel drive. For even more heart-pounding performance, a 3.0-liter V-6 with twin turbos, plus direct injection is perfect. It throttles out 350 horsepower and 400 lb.-ft. of torque, with front-wheel drive. If you add all-wheel drive, the horsepower output jumps to 400, making it even more exhilarating. Both engines work with an advanced 6-speed SelectShift automatic transmission, which can be manually controlled through paddle shifters mounted onto the steering wheel. To aid with optimal handling, which balances control and comfort, Lincoln uses a MacPherson strut up front, combined with aluminum lower control arms and a stabilizer bar. In the rear, an independent integral link suspension, also with aluminum lower control arms and a stabilizer bar, aid with a tight and composed ride quality. You can add Lincoln Drive Control for customized suspension damping and steering settings. The three modes, called comfort, normal and sport, can be selected on the fly, so you're always ready for whatever lies ahead. For even better handling, models with the twin-turbo 3.0-liter V-6 engine can come with the optional Driver's Package. It adds dynamic torque vectoring, which makes the sedan turn with greater agility, all while preserving comfort for the passengers. Driving the Lincoln MKZ is a reassuring activity, thanks to advanced technologies designed to boost safety beyond what you might expect. One key example is the auto hold feature. The brakes stay engaged once the sedan is completely stopped, even if your foot slips off the brake pedal. This avoids simple accidents in situations such as stop-and-go traffic, or when reaching out the window to pay for parking. With pre-collision assist with pedestrian detection, drivers get extra help avoiding frontal crashes. Even if the car doesn't stop in time, this technology can lessen how bad an accident is, hopefully avoiding serious injuries as a result. Overall, the cabin is handsome and well-designed, putting switches easily within the driver's reach. Soft leather, real wood accents and other high-quality materials abound. Thanks to excellent insulation, no matter the vehicle speed, you always enjoy a quiet environment that makes having conversations or listening to music possible. 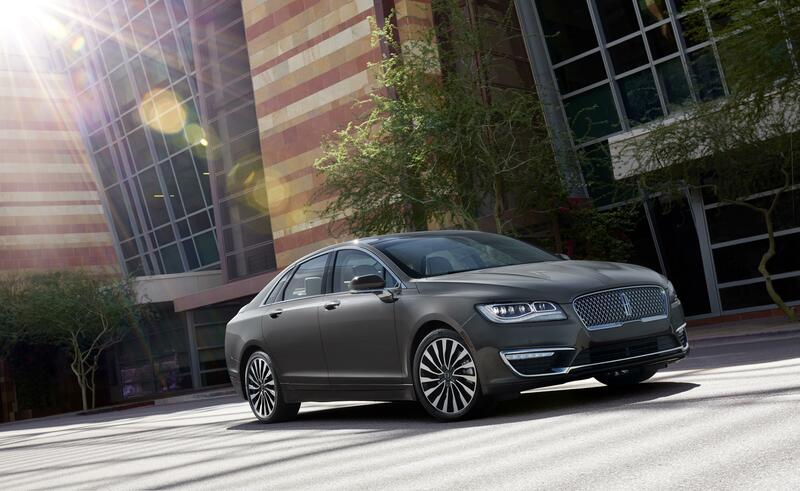 Many options exist, enhancing the Lincoln MKZ. Among them is ambient lighting, with several color options, so you can set the right mood. Sync 3 adds excellent functionality for the infotainment system, including intuitive voice controls and simpler menus. Driving the 2017 Lincoln MKZ is the best way to appreciate its value. Schedule an appointment today.